Located at the JCH Wellness Center, 412 Maple Summit Road in Jerseyville. Physical Therapy is available Monday - Friday 7:00 a.m. - 6:00 p.m. This department offers orthopedic rehabilitation, manual therapy (including use of Graston technique), aquatic physical therapy, neurological rehabilitation, sports medicine, pediatric therapy, lymphedema therapy, treatment of vertigo, evaluation/fitting for orthotics and pre/post-operative rehabilitation; the physical therapy department also has an Alter G antigravity treadmill allowing patients to walk or run with reduced lower extremity weight bearing. Physical therapists (PTs) are movement experts who use exercise, hands-on care, and patient education to improve quality of life. The goal of physical therapy is to help patients regain normal function and return to daily tasks, work duties and recreational activities with less difficulty or pain. Using a variety of treatment techniques, PTs help patients manage their condition, focusing on long-term results. PTs examine patients and develop an individualized plan to improve the ability to move, reduce pain, restore function, and prevent disability allowing patients to live a healthier and more active lifestyle. Those that could benefit from physical therapy include people with low back/neck/shoulder/knee pain, patients recovering from orthopedic surgery, injured athletes, newborns with torticollis, children with developmental delays or cerebral palsy, cancer patients with lymphedema, employees returning to work after an injury, post-stroke patients, people with decreased balance/fall risk and those with arthritis, just to name a few. Physical Therapists take subjective information from patients regarding the history and location of their pain and/or troubles as well as what problems the patient may be having completing daily/work activities. PTs also assess movement and take objective measurements evaluating range of motion, muscle strength, balance and swelling. By combining this information, the therapist can set goals and establish a treatment plan to return patients to daily activities with less difficulty and pain. During the course of therapy, PTs are continually communicating with the patient to evaluate the effectiveness of the treatments as well as to explain the rationale behind each intervention. PTs also communicate with the patient's doctor to report progress toward the goals. Once goals are met or patients have become independent with a home program, discharge from therapy occurs. If you feel you could benefit from physical therapy, talk to your doctor today about obtaining an order. 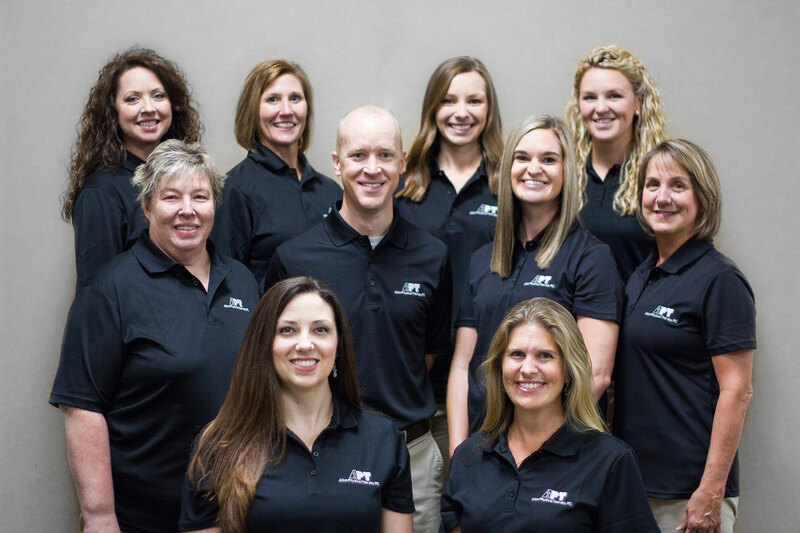 Our director, Deb Wittman, PT, would also be happy to assist you with any other questions or concerns. Call (618) 498-8480 or fax (618) 498-8493 for additional information.